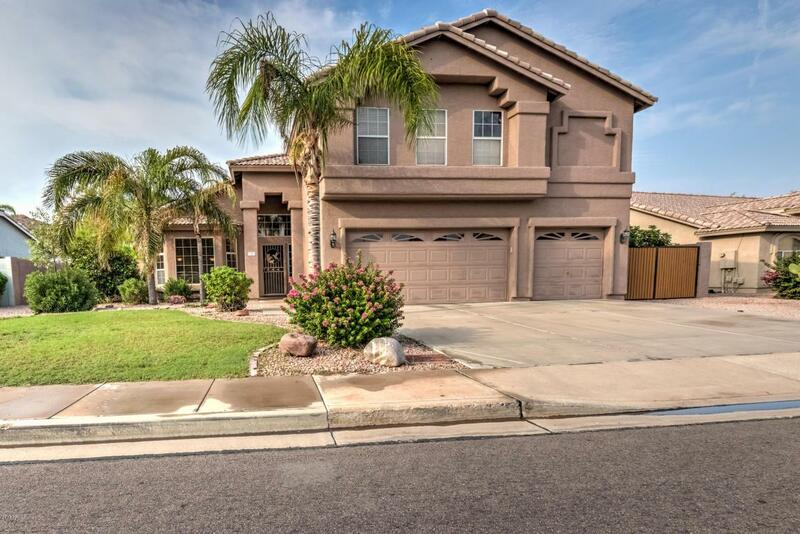 This spacious north facing home is located in the desirable Mesa Falcon Hill community. 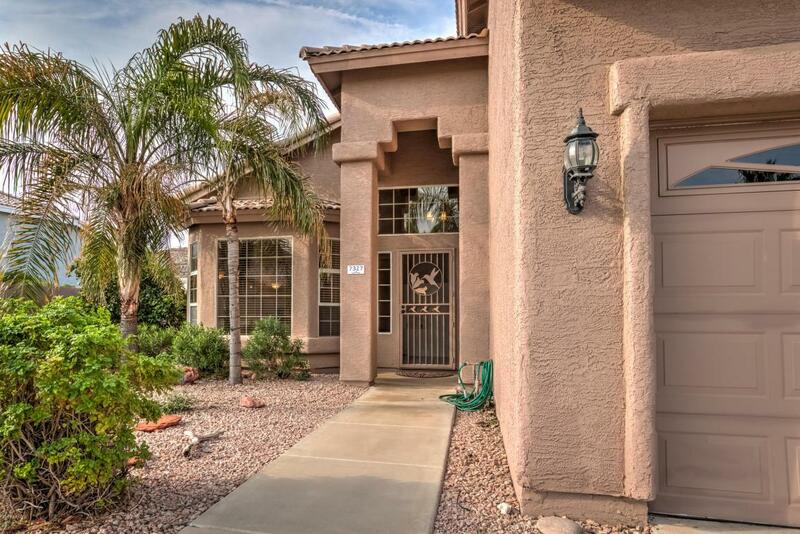 There are beautiful hillside & mountain views throughout this coveted community. Walk into the home's open floor plan with vaulted ceilings and lots of windows throughout!This home has 5 spacious bedrooms 3 with walk-in closets, formal living room, dining room, walk-in pantry, eat-in kitchen, family room with a fireplace and ceiling fans throughout, WAIT THERE IS MORE no HOA, a pool, large backyard, RV gate for Boat or RV parking. RV's permitted to park on the street. The master bedroom has vaulted ceilings, ceiling fan and a large walk in closet. 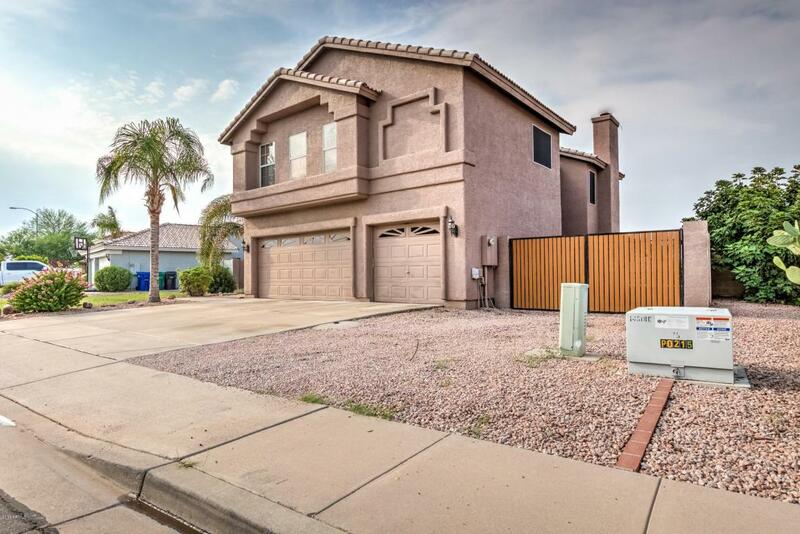 There is 1 den, what can be converted to a bedroom and a full bath downstairs, 5 bedrooms upstairs.Walking distance to a Falcon park and Falcon Elementary School. 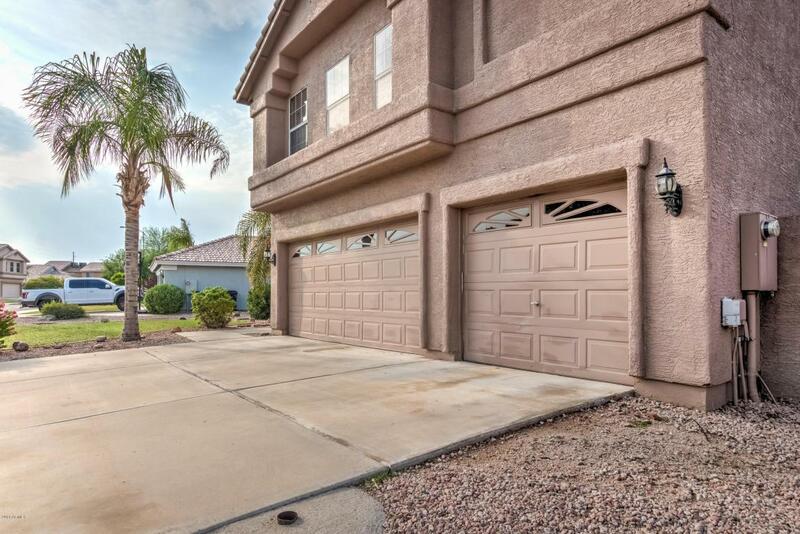 Can't beat the location: close to Boeing, shopping/dining, Falcon Hill Park, Red Mountain Park, Usery park, Saguaro Lake & easy 202 access. Water softener does not convey, but loop will stay. Please call to schedule an appointment to see YOUR NEW HOME today.